So you have the traditional Mai Tai, the Royal Hawaiian Mai Tai, and now we have the Sparkling Mai Tai. The Sparkling Mai Tai is a tasty twist on the classic created by Martin Cate and served at his Tiki bar, Smuggler's Cove. 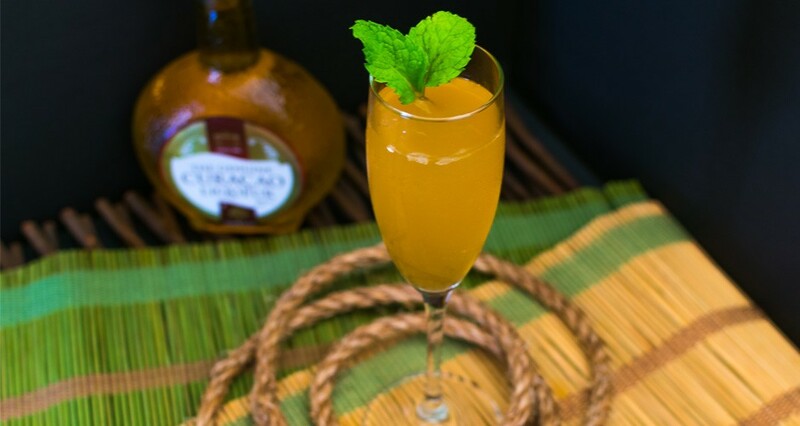 Since we're such a big fan of a good Mai Tai, we couldn't help but try this one as well. Add ingredients to a shaker, except the sparkling wine, and fill with ice. Shake well and double-strain into your glass. Garnish with a mint leave.